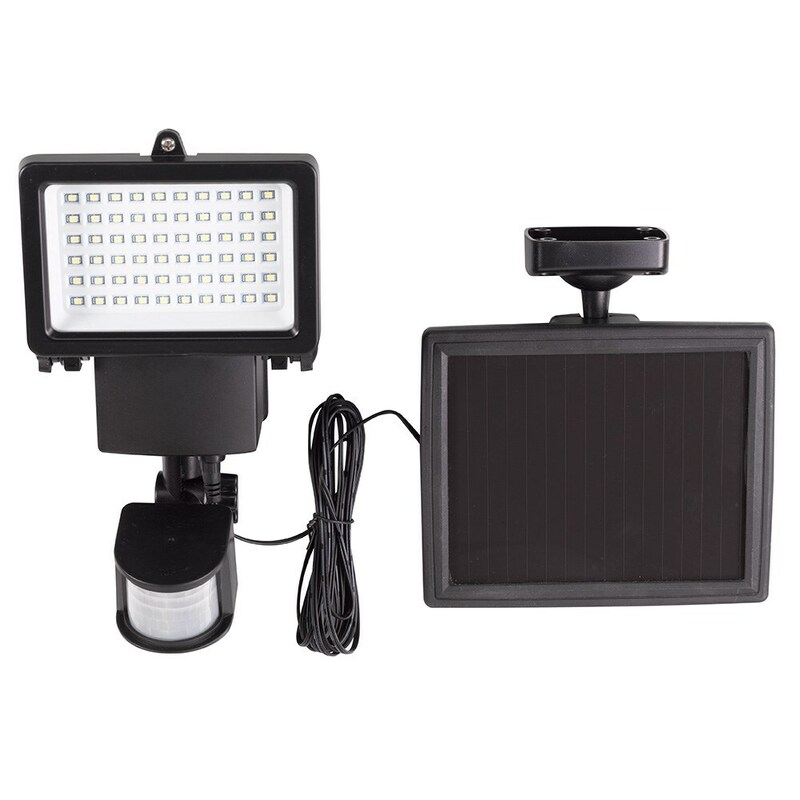 Ideal for entrances, paths, garages or patios, this powerful solar PIR floodlight provides light and reassurance wherever you need it. 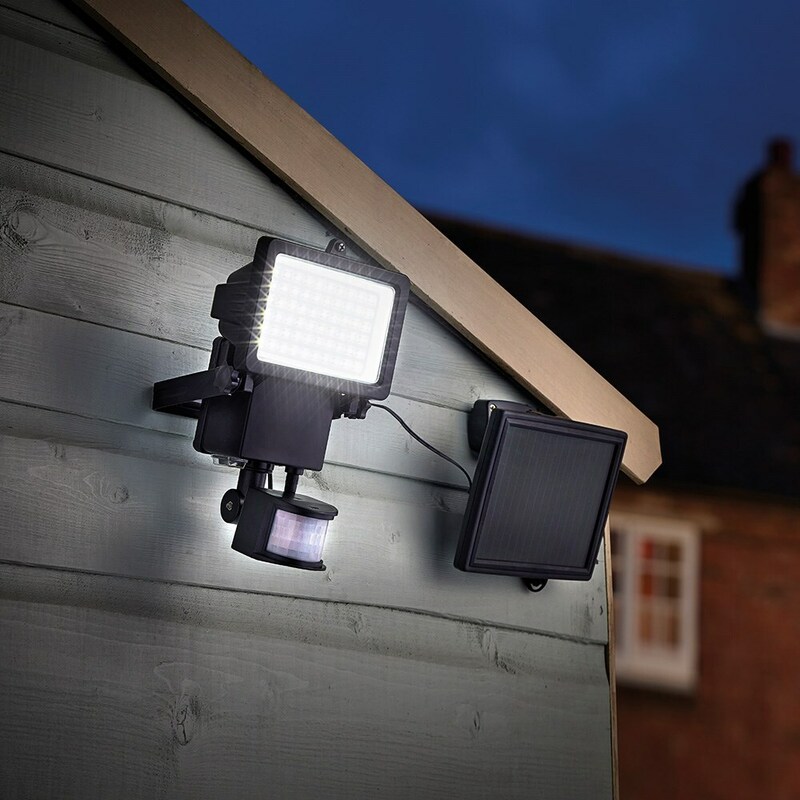 Activating at dusk, the 1000 lumen light switches on when motion is detected within 8 metres, with the 60 bright white LEDs and 120° beam angle providing comprehensive coverage. 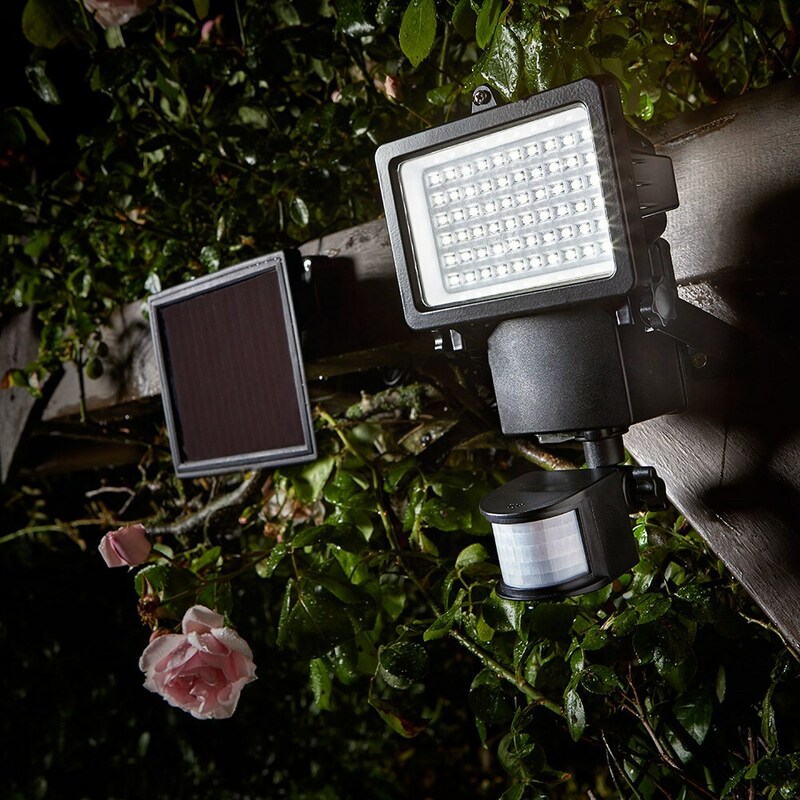 The light comes with three functions - on, off or auto - and can be set to illuminate for 30, 60 or 120 seconds when triggered. 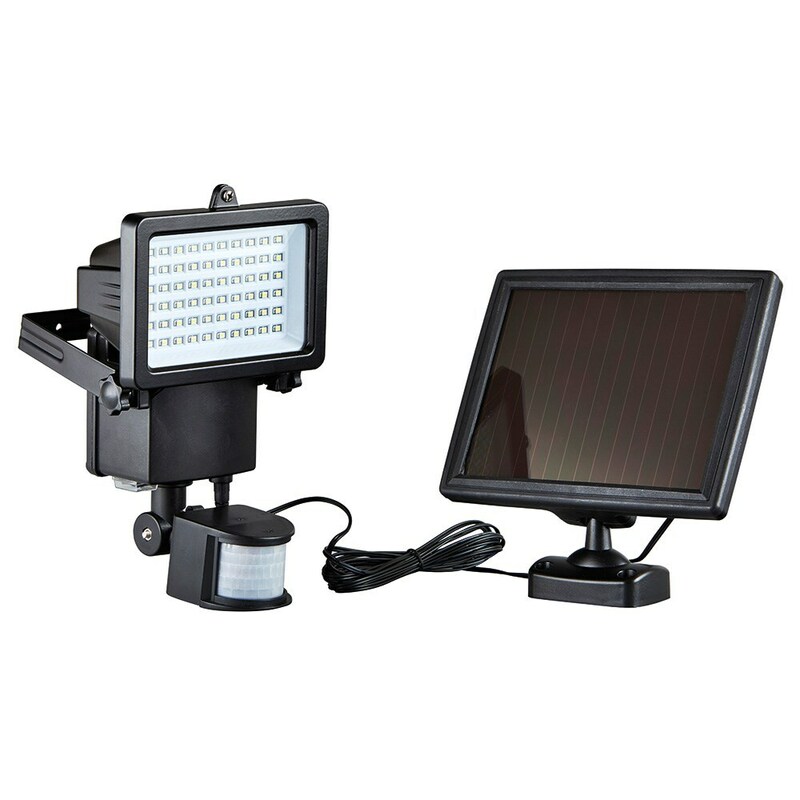 The remote solar panel stores enough charge to provide up to 6 hours’ illumination at a time. Made from weatherproof powder-coated aluminium.